The pothole on Salem Street has returned again. It has been temporarily filled several times since last July. The original 311 post can be found here. The case was submitted and opened on January 23, 2019. The case is still open as of January 23, 2019. 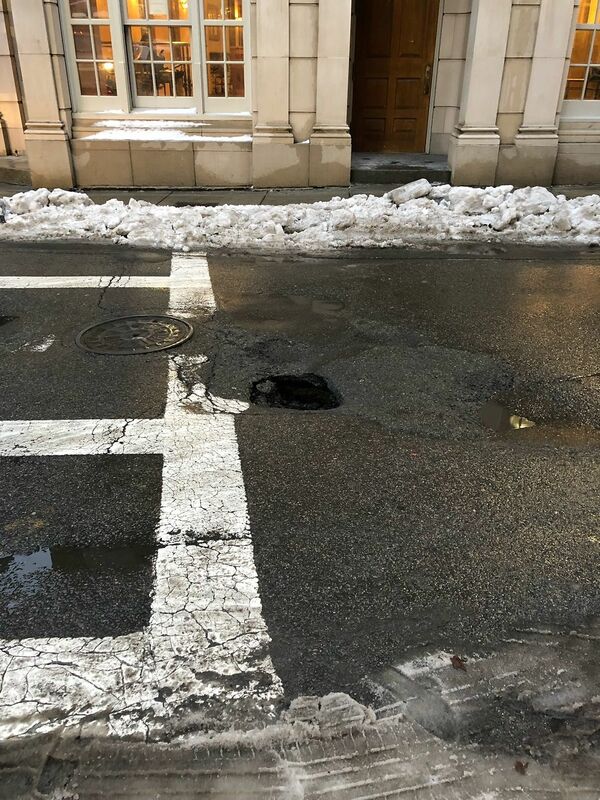 Note: This pothole has been a reocurring case in “What’s The 311?” and has been marked resolved multiple times on the 311 website. I didn’t place the 311 order, but the cart of trash is still there as of the morning of 1/24/19, I walked right by it. constantly getting the same offenders. This is a big issue which has been going on for far too many years. If they don’t close the pothole this will beome the new North End receptical.